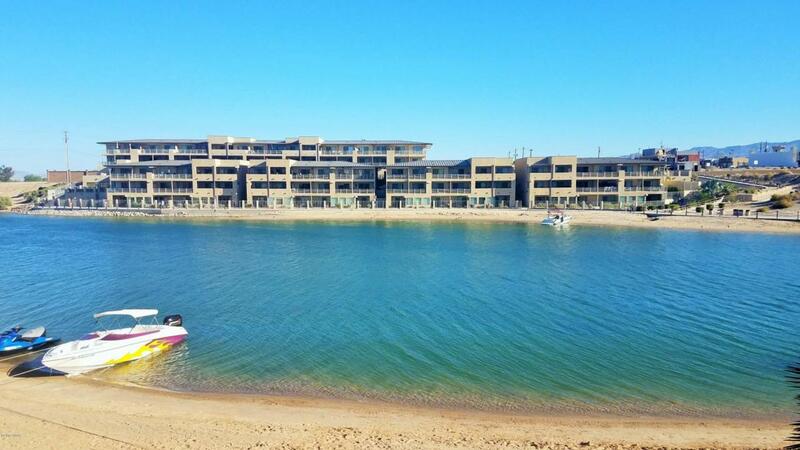 HUGE PRICE REDUCTION, take advantage of this opportunity to buy a unit in one of the most popular gated complex with direct access to the lake, awesome views , upgraded , turnkey furnished and a solid rental history. 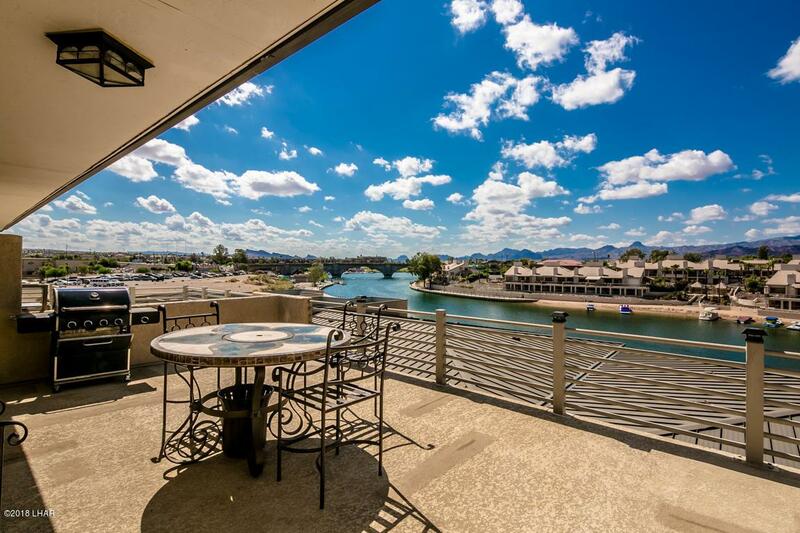 Waterfront Condo in Kings View Condos. Priced to sell! Overlooking the channel & London Bridge. This top floor or penthouse condo as you might call it has, unique to this unit, beautiful lake views from the front door, kitchen & 2nd bedroom windows as well, and remember the main view overlooks the channel & London Bridge from the patio off the living room. 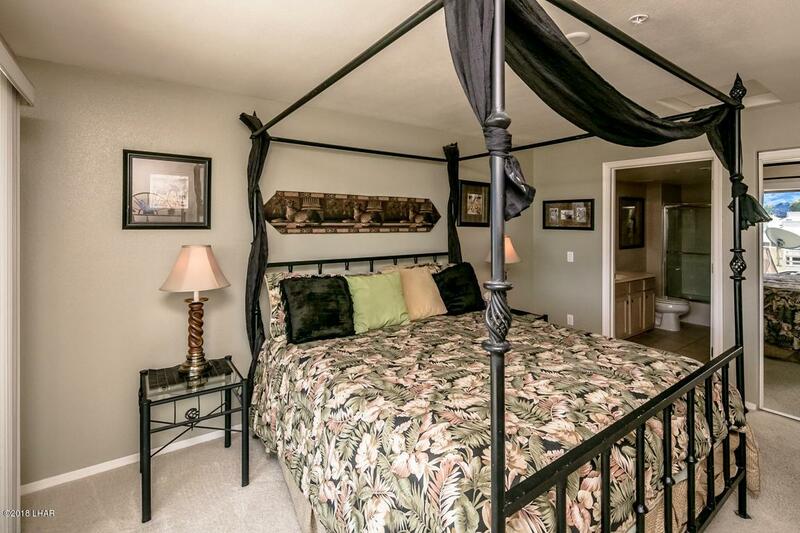 Beautifully decorated inside & huge patio deck outside. AND NEW GRANITE COUNTERS,FLOORING, FAUCETS & SINKS!!! Perfect vacation home that can be vacation rented when you are not using it to help offset cost. P&L to be provided upon accepted offer. 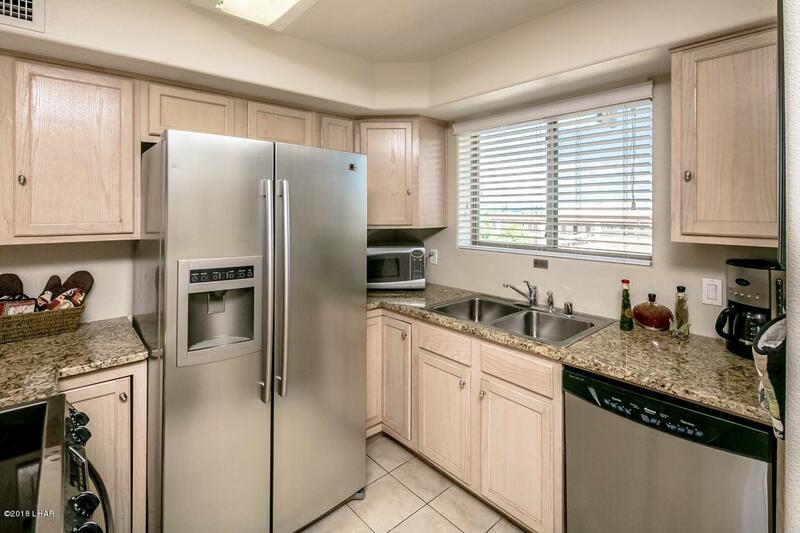 Location of this condo in the community is superb. Privacy & huge views. Can be sold turn key (price negotiated outside of escrow) minus patio table & chairs and a few personal items. Close by the first of the year and potentially have over $10,000 in rental income. Repeat & wonderful winter renters will be there from end of December to end of April 2019. Wow!